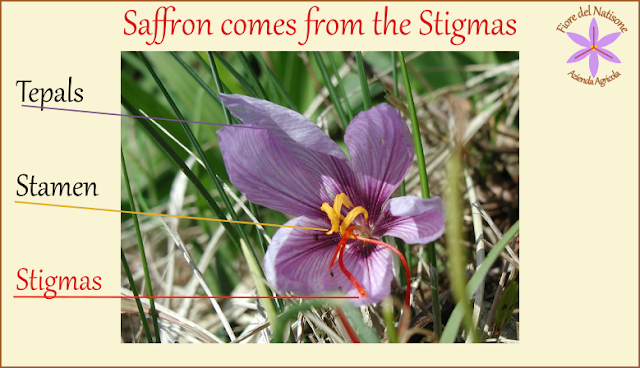 This question is very very frequent between people that have never seen how Saffron is produced. What does expensive mean to you? Is your new Iphone expensive? Is your new car expensive? Is your new house expensive? Is a cinema ticket expensive? Is the bill at your favorite restaurant expensive? Is a Mcxxx burger expensive? To me a phone that costs 700 or more euros is very very expensive, because probably I do not give so much importance to high technology in a phone. But for you may be instead the new Iphone has a right price due to the value that you feel it gives to you. Also a McBurger that costs 1 euro may be cheap or expensive, it depends on what is your idea of Value in food. It could be expensive if you think that Mcburger is a no-value food of trash-food. Or may be you need to eat something very fast during your work-break, and paying only 1 euro for a burger is a great chance for you. So, let's return to Saffron. Saffron has no spice to be compared with. I've read recently that someone thinks about turmeric like substitute of Saffron, for example. It's like to think salt is similar to sugar...! Let's think 1 gram (0,035274 oz) of Saffron needs almost 140 flowers to be harvested (by hand exclusively), worked (by hand exclusively), dried, packed. Let's think about food quality and life. Saffron aroma and taste are incomparable. In my personal opinion, when I want to really appreciate what I eat, I use the best. If you cannot spend much money, take Less but Better. In the supermarkets (grocers) you can find every type of spice mixtures (often we don't know exactly what's in it!) but if your desire is to really feel and enjoy what you eat, there's one way only: take the best. 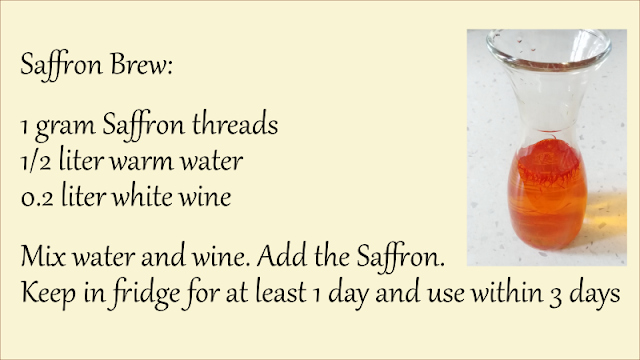 With Saffron you don't need to add any other spice or aromas. Only a bit of salt if you want. I'll do a comparison: do you prefer to drink a very special glass of wine or to drink a full bottle of ordinary wine? Ok, you can answer: It depends. "If I want to get drunk"...ok ok. Correct! Suppose your target is to drink a really special wine for a special moment. Some of the best things aren't for everyday use. I understand. But we can all have a special moment. 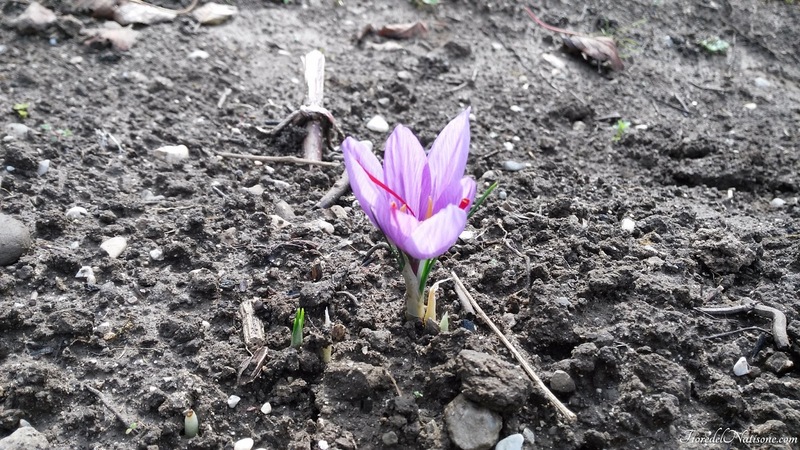 Saffron is more expensive than other spices, due to the long, difficult and tiring production process. 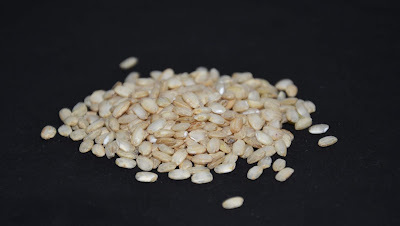 But also you need a very very small quantity (0.1/0.15 grams) to prepare a super special Risotto and enjoy a really tasty moment.